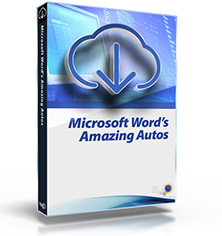 Summary: Word provides several tools that can aid in developing your documents. This e-book focuses on a few of those tools. You discover how to use Building Blocks, AutoComplete, AutoCorrect, and AutoFormat to make document development a snap. Here is the complete table of contents for this book. You can also order any of our products by calling our order line: 307-200-0450.